Winmate updates the Android based 10.4-inch vehicle mounted computer with the release of the Qualcomm Snapdragon 820 powered FM10Q featuring Android 8.1. The quad-core Qualcomm Snapdragon 820 Arm-based platform will allow users to have powerful computing while being power efficient and also includes long term extended support to reduce maintenance and ensures the reliability of the CPU platform for years to come. In addition to the performance update, the new Android 8.1 based FM10Q also includes the option for a 1000 nit high brightness display that will grant viewability in any outdoor circumstances. The latest wireless connectivity options have also been updated for the vehicle mounted computer, including WiFi 802.11ac, Bluetooth 4.2, 4G LTE and GPS for vehicle tracking and route optimization. 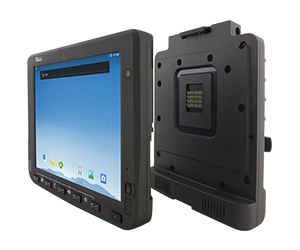 The computer delivers mobility in a vehicle-mount form factor with its wide range of I/O ports and wireless connectivity options as well as flexibility with its design that allows for easy removal from the dock with a one-click top latch. From inventory management to order fulfillment, asset tracking, and shipping and receiving, the warehouse floor is complex ecosystem that requires high-efficiency technology to keep it running smoothly. 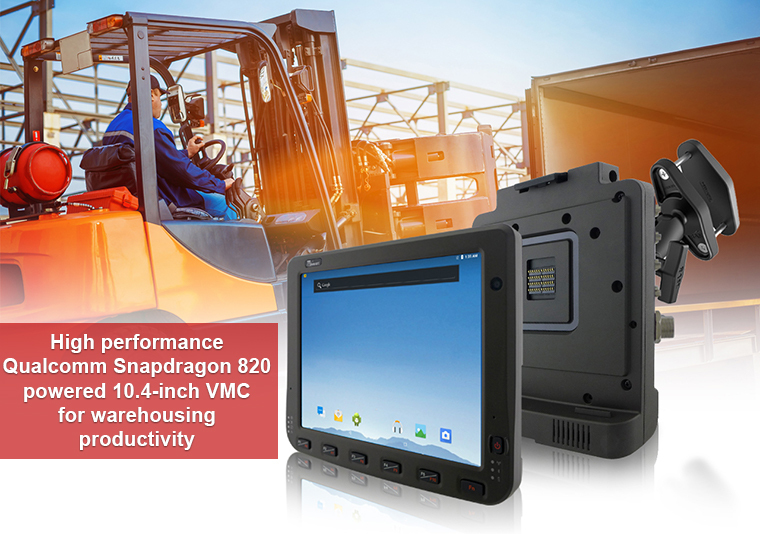 Designed to fit seamlessly into forklifts and other warehouse vehicles with its wide ranging power input with power isolation, the FM10Q will help minimize errors, streamline inventory management, and improve operational efficiencies.